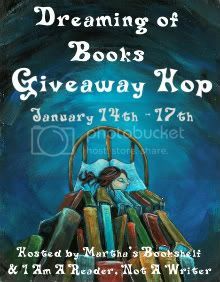 Welcome to the Dreaming of Books Giveaway Hop. This giveaway will run from 12:01 AM Friday January 14th to 11:59 PM Monday January 17th. The winner will be chosen via random.org. Thank you for stopping by, and be sure to stop by and visit all the blogs participating in this event! Leigh Brill was born with cerebral palsy, and until she was in her twenties, she struggled every day to hide her handicaps as much as possible, to project an image of complete normalcy, and to be “twice as good” in order to be treated like everyone else. Then one day she has a chance meeting with a new classmate—a woman with a service dog trained to provide mobility assistance. After some exposure to what the boxer Caesar can do for Anne, Leigh accepts a brochure for Caring Canine Companions from her, and eventually talks herself into making that first phone call. Sylvia helps her to open up about the difficulties her cerebral palsy causes her and what she needs help with, and she fills out an application. After a wait of nine months, she is introduced to a yellow Lab named Slugger, and his trainer, Vickie Polk. We follow Leigh and Slugger through their training and adjustment to each other, Leigh’s newly freed life with Slugger to assist her, and her first meeting with her future husband, Pranav. The new family comes together, and we follow their personal and professional progress. Slugger is dedicated and totally professional when his harness is on—and a typical goofball Lab when his harness is off. Slugger and Pranav develop their own relationship, parallel to and separate from the relationships they each have with Leigh. We get flashbacks to Leigh’s childhood, which are sometimes enlightening and sometimes distracting, but the story of her life with Slugger and Pranav, her encounter with employment discrimination, and her own growth in turn into an advocate and tireless worker for service dogs and the freedom they bring to those who need them remains engaging and keeps moving forward. There’s a marvelous account of a presentation Leigh and Slugger give at a grade school, introducing children to service dogs, what they can do, and why you shouldn’t just run up and pet them. It is painfully clear that many of the children have never met a really well-trained dog of any kind, and they are astounded by how smart and how helpful a dog can be. Since this is real life, and Slugger is a service dog, the time comes when he has to retire, and Leigh, Slugger, and Pranav all have to adjust to the introduction of a new service dog into their lives and home, a female yellow Lab named Kenda. One of the most touching sections of the book concerns Slugger’s aging, and the growth of the friendship between the two dogs, as Kenda starts to assist Slugger, too, such as when he wants to play fetch but has difficulty seeing where the toy was tossed. This is a wonderful autobiography and an insight into the world of service dogs and those who rely on them. Purchase it: You can buy a copy of A Dog Named Slugger from Amazon.com, or from BarnesandNoble.com, for about $14 plus shipping & handling, or your local bookstore can order it for you if they don't have it in stock. Win it: The winner of this giveaway will receive one copy of the book A Dog Named Slugger, by Leigh Brill. Eligibility limited to US addresses only. Mandatory: Leave a comment on this blog telling me what most interests you about this book. Follow this blog on Google Friend Connect; leave a comment saying that you have done so. Follow me on Twitter, @ElisabethCarey, and leave a comment saying that you've done so. 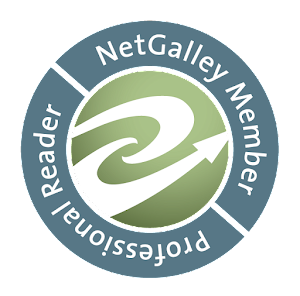 Disclaimers: I received a free electronic copy of A Dog Named Slugger from the publisher via NetGalley. I was not paid for my review and my opinions are entirely my own. Two Little Cavaliers is providing the copy of the book which I'll be giving away. This giveaway will end 11:59 PM Monday, January 17th, and the winner will be chosen via Random.org. Great Review, I would love to win a copy of this book! I think it would benefit my entire family. I have a 3 year old ganddaughter with Cerebral Palsy Hailey doesn't walk on her own and also doesn't speak etc.There has been a bit of discussion about one day getting Hailey a service dog and this book could help to seal the deal. I will follow you on google friend connect. Sirry I don't have a twitter account. Thank you, keeping my fingers crossed. Welcome! Best wishes for your little granddaughter. I would love to be entered to win this book! I love stories about dogs! Angie, thanks for stopping by! I hope you'll enjoy my blog and visit again. I have always been a dog lover and really like to read stories about them. I also think that services dogs are extra special. I follow your blog on GCF as Carol N. Wong. I follow you on Twitter as Carolee888. 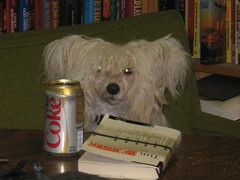 http://liscareyslibrary.blogspot.com/2011/01/dreaming-of-books-giveaway-blog-hop Giveaway of 'A dog Named Slugger'. I would love to read about service dogs. I think it would be really interesting. oh it sounds like a wonderful book! i'm a dog lover so i know i will love this book! I enjoy reading books about others who have learned and grown from life experiences. What interests me most is reading about the miracles that dogs can create. I want to check out this book because it sounds like a good, uplifting story. Thanks so much, but no need to enter me. I have a copy. I like dog stories that tell more than just the dog's story, but also the stories of the people around them. This book sounds very interesting! I love dogs. We have 7 at our house. My DIL is a trainer. I would love to read this. I like how it's about a person overcoming illness, or disability, especially with the bond of a dog. I am a new GFC follower. Thanks for the fine review and wonderful giveaway. This review makes me want to read this book. Thank you so much for the chance and the terrific review. I would love to win this book. I am sure I would cry while reading, but I love animals and the service dogs have always intersted me. AHH, finally a book I LIKE!! Sorry, Lis, just had to make a jab at your sci fi reviews!! It really does sound like a great book that I would enjoy reading. Please enter me. I'd love to win this book. I'd love to read this book because I like reading about relationships between people and their dogs -- and the fact that the dog is a service animal makes it even more intriguing. I would love this book b/c I enjoy reading books about animals. I follow on GFC under the name MonaG.